There are plenty of things to do in Paris in autumn! 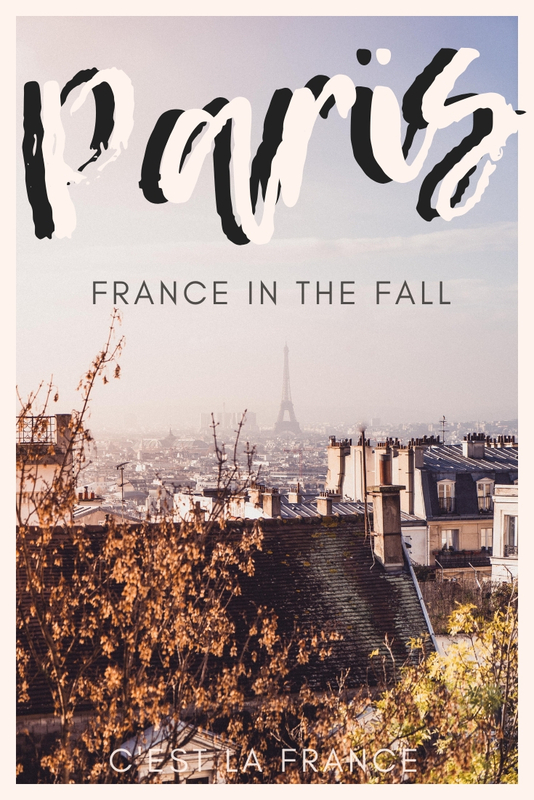 Between lakeside boat rides, searching for fall foliage, and drinking all of the vin chaud, there are a myriad of things you might do when it comes to visiting Paris in the fall. Some of our favourite activities include taking self-guided walking tours around the city (try this vintage walking tour of the historic city) and visiting many a museum. Thanks to various elements, including the rise of Instagram, coffee culture in France is at an all time. Of course, Paris has always been a go-to place when it comes to ordering espressos en terrace. However, what I’m talking about is the increasing number of speciality coffee shops dotted around the city. And, of course, autumn provides the perfect excuse to head inside and make the most of Parisian coffee culture. 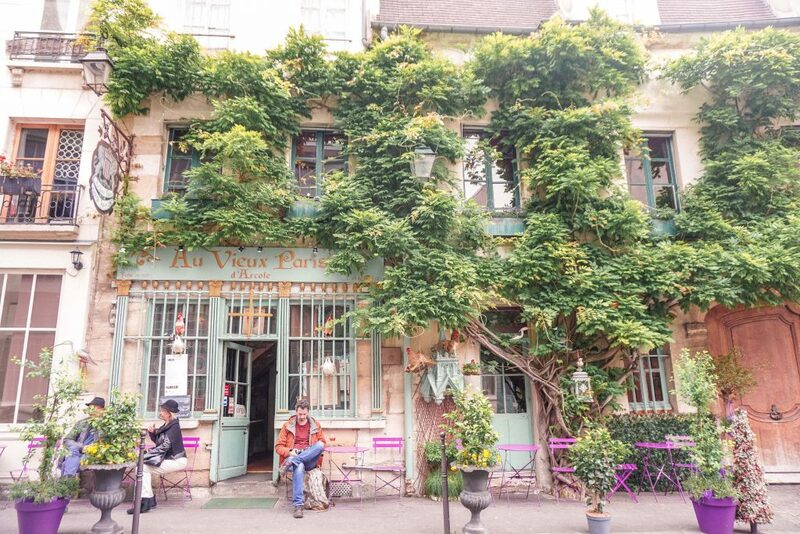 So, whether you’re looking for a pumpkin spice latté, an avocado brunch, or simply want to find somewhere to snap pretty photos, Paris has you covered! Personal favourites of mine include Odette, Au Vieux Paris d’Arcole, and Café Oberkampf. While the winter provides damp and miserable weather (for the most part! ), autumn in Paris still promises countless days of crisp sunshine. Although the European shoulder seasons are not quite as cheap as low season, and there are still tourists milling about, there’s no better time to see the most unusual things to do in Paris. Some of my favourite offbeat attractions in the city include visiting the Clos Montmartre (a secret vineyard in Paris), wandering around the Musée de la Vie Romantique (a quaint former house museum at the base of Montmartre), and searching out for some of the ‘lost villages of Paris’ (small pockets of little houses that don’t quite fit in with the Haussmannian architecture of the rest of the city). If you give yourself just one reason to visit Paris in the fall, make it this: the autumn tones and fall foliage of the city are simply magical. 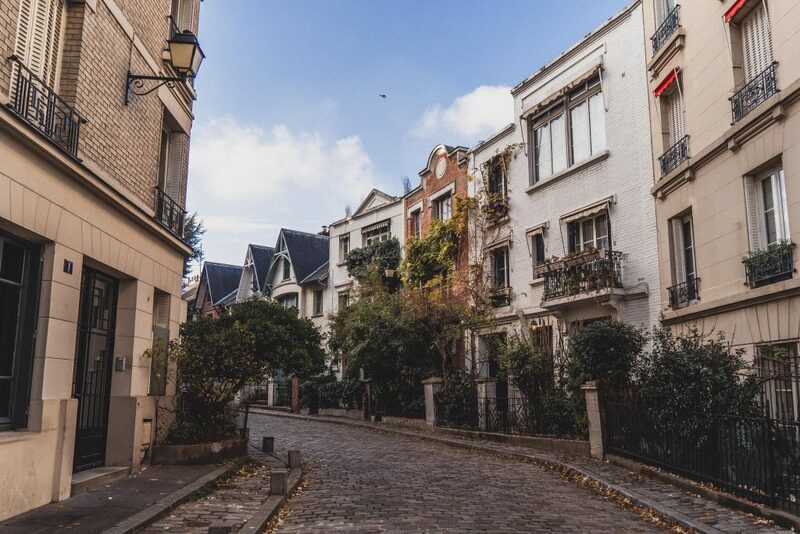 Stroll through Montmartre, wander through a park, or visit a cemetery. 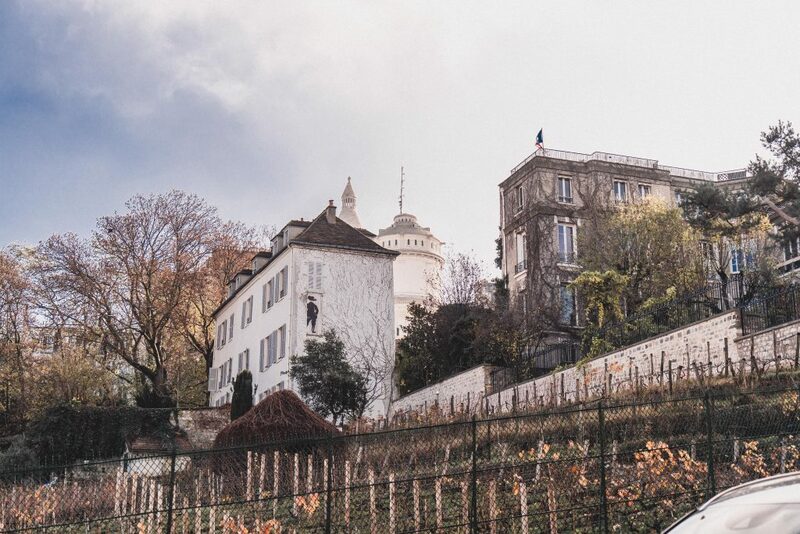 Some of the very best places to see pretty fall foliage in the city include Parc Monceau, Parc des Buttes Chaumont, and Place Dalida of Montmartre. The autumn also signals the start of many a festival in the French capital, including that of the wine harvest. For the foodies, there’s no better place to head than to the Fête des Vendanges, a five day festival celebrating the wine produced from Le Clos Montmartre. This area is open to the public just once a year and while the wine itself is not so great in taste, all profits made from the auction go to fund projects in the local community. Elsewhere in the city, the Nuit Blanche takes place on the first Saturday of October and sees dozens of museums and galleries open their doors between 7 am and 7 pm. Although many things are closed in low season (i.e. winter), most attractions, châteaux, and small town brasseries remain open in the fall. 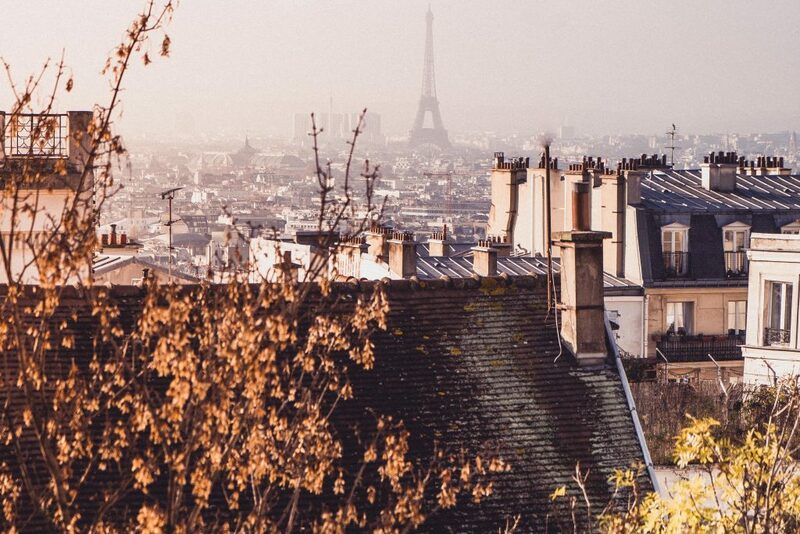 As such, there’s no better time to escape the city for a day and take a fall-inspired day trip from Paris. 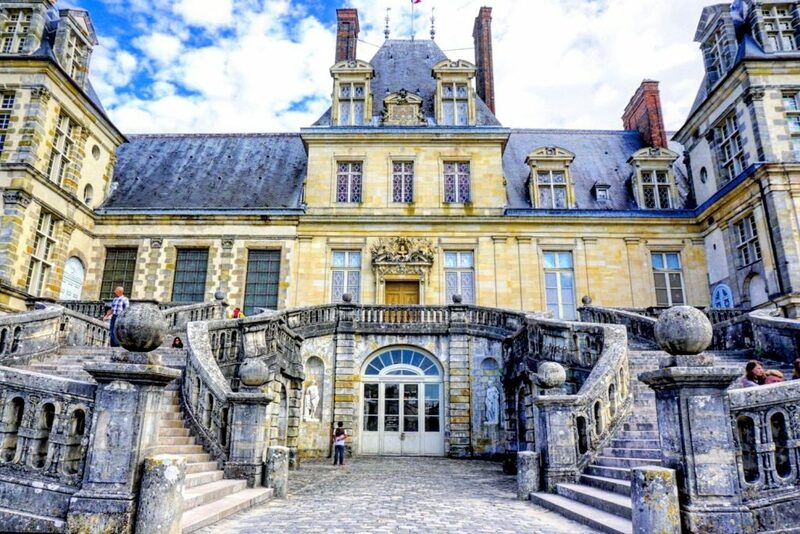 Highlights of excurisons from the city include a visit to Fontainebleau (i.e. Versailles without the crowds), as well as paying a visit to the original Versailles, Vaux-le-Vicomte (this beautiful château signalled the beginning of the Baroque style and was so lavish, that the king of France at the time grew jealous of its owner and threw him in prison for the rest of his life). For those with a sweet tooth, there’s no better excuse to enjoy a hot chocolate at one of Paris’ great patisseries than in the autumn. After all, the City of Love produces some of the very best chocolat chaud in the world. Among the best places to find warm chocolae in the city is the world-famous Angelina tea rooms and Café de Flore. 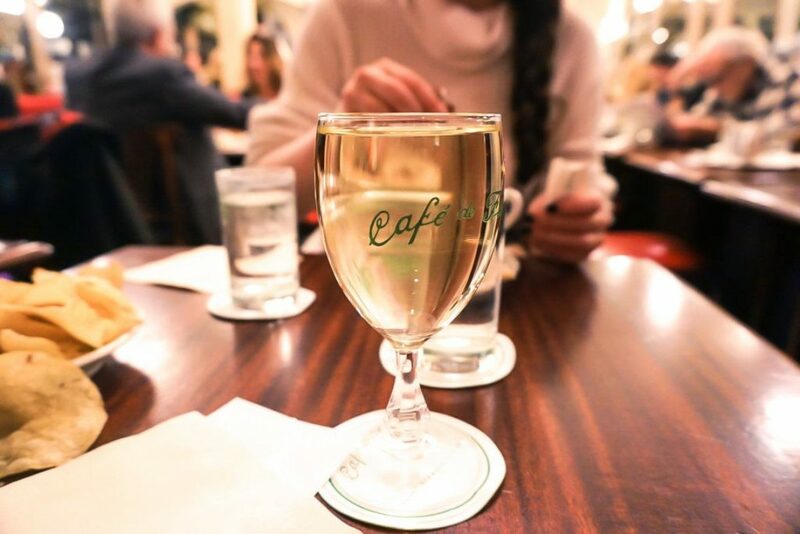 While Angelina is set against the backdrop of a Belle Epoque building, the historic Café de Flore can be found in the ever-so-trendy Saint-Germain-des-Pres district of the city and has been serving coffees and all manner of French foodstuffs since 1887!